READY TO be a boss babe and increase your earning potential? Start your own business in permanent makeup or add to your current list of services. Microblading training is available in a 1-on-1 private setting in my own studio. Learn everything you need to get your business started in this thriving industry. There's money to be made! No previous experience or esthetician license required! 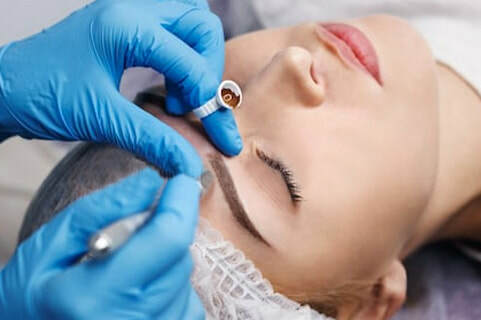 Microblading is hot and THRIVING! Course Tuition is $2500 and includes everything you need to get started in this exciting industry and offer this highly sought after treatment. took training elsewhere but still need a little guidance? our Microblading extension program is the perfect choice! Sit in and watch me do a full procedure from setup to take down. Learn bedside etiquette, answer common client questions, watch procedure steps, and work on your models under my supervision. This is an extension program designed for students that feel their training lacked key information and need a little more confidence to get started on their own. For more details on either our full training or the extension training workshop, fill out the contact form below.